How much do parents spend on education? 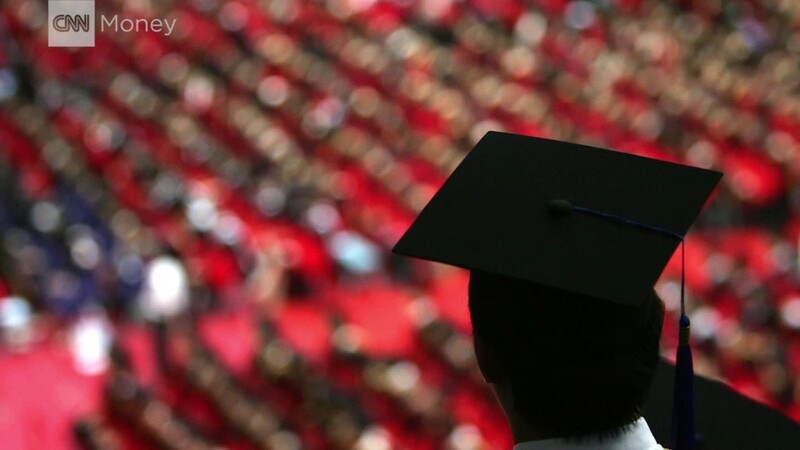 A good education doesn't come cheap -- especially in Hong Kong. 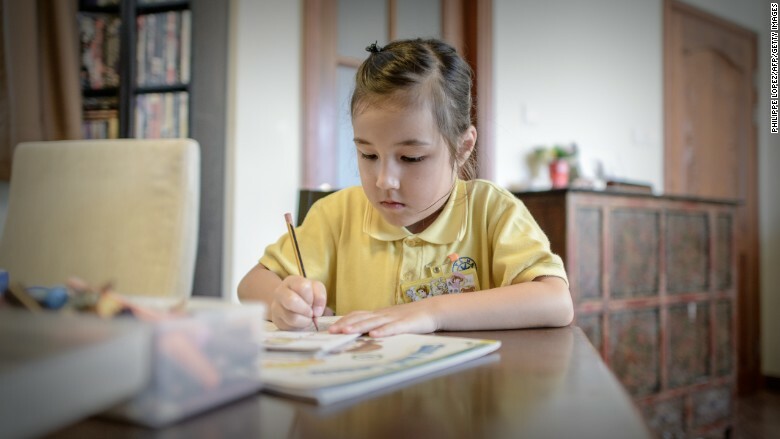 A new HSBC (HSBC) survey conducted in 15 countries and territories found that parents in Hong Kong spend the most on learning. Hong Kong parents shelled out an average of $132,161 per child between grade school until the end of an undergraduate degree. 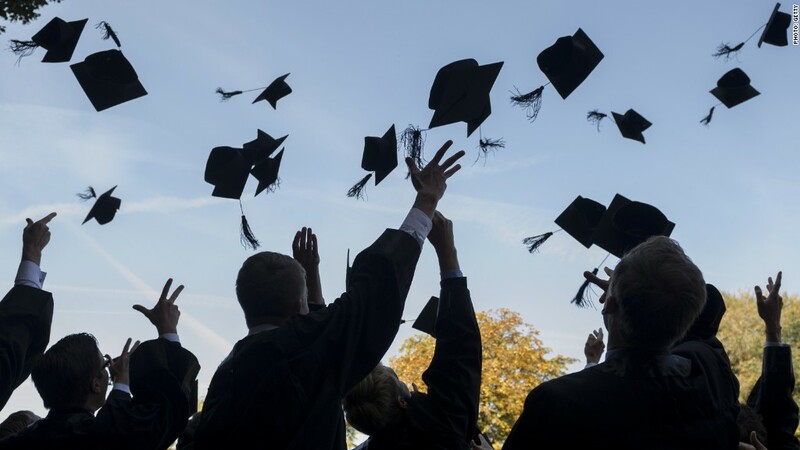 "In nine of the 15 countries surveyed, paying for their child's education is most likely to be parents' biggest financial commitment, above others such as mortgage or rent payments and household bills," said Charlie Nunn, HSBC's head of wealth management. 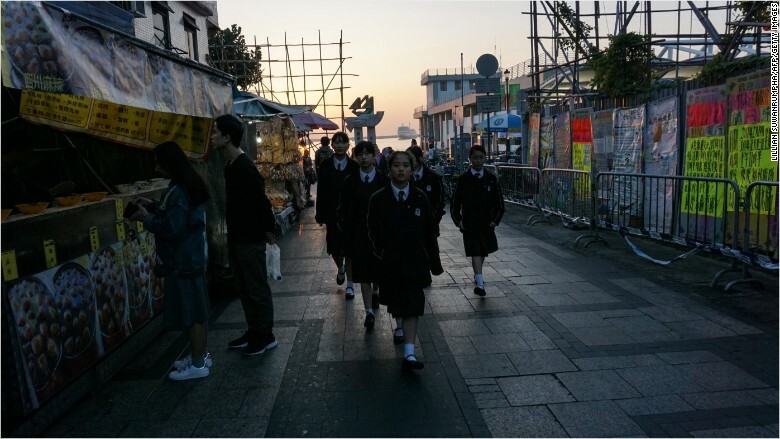 Schoolgirls walking through the streets of Cheung Chau island in Hong Kong. HSBC surveyed over 8,400 parents who totaled up their spending on items including tuition fees, textbooks, transportation and accommodation. Costs varied widely: Parents who send their kids to publicly-funded schools can spend a heck of a lot less than those who send their kids to private schools. Hong Kong parents who sent their kids to state-funded schools spent $96,735, while those paying for private schools spent an average of $211,371. Costs were tame in the U.S. by comparison: $39,544 for a child attending public school and $74,112 for private school students. If you're looking for a deal, head over to Indonesia. Indonesian parents that send their kids to public schools spend just $7,892, making it the cheapest option in all the countries and territories in the survey. The price more than doubles for private school attendees. Parents in Hong Kong have to shell out big bucks for their childrens' education. HSBC also found that parents in Asia are most likely to be optimistic about their children's futures. For example, 85% of parents in India and 78% in China feel confident their child will get a great job. In France, only 36% of parents are confident their kid will score a great job.